Canon All-In-One Printer Just $44.99! Down From $150! PLUS FREE Shipping! You are here: Home / Great Deals / Amazon Deals / Canon All-In-One Printer Just $44.99! Down From $150! PLUS FREE Shipping! 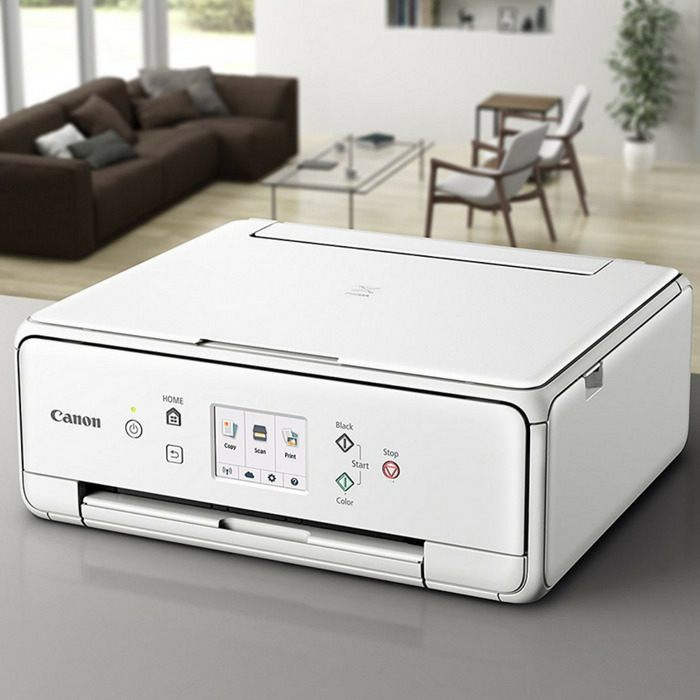 At Amazon, you can score Canon All-In-One Printer for just $44.99 down from $149.99 PLUS FREE shipping! Need a versatile, quality printer that will fit into a tight space? The Canon PIXMA TS6020 Wireless Inkjet All-In-One Printer fits the bill. Easily print term papers, concert tickets, or fun family photos at home. Or, print them just as easily away from home, because it can connect to all of your devices through Wi-Fi, AirPrint, Google Cloud Print, USB, SD Card or directly from the Cloud. And even though it’s compact in size, the PIXMA TS6020 printer is packed with quality. It uses a five-ink system to print detailed photos and documents, sports fast output speeds, and even prints beautiful borderless photos. For compact, quality printing at home, choose the Canon PIXMA TS6020 Wireless Inkjet All-in-One Printer. Stunning Print quality. Inspire your creativity and Print beautiful photographs and documents with the 5 individual ink system. Enhanced connectivity. Enjoy the simplicity of connecting your smartphone, tablet and all your favorite devices with ease. Print hassle free – whether from the cloud, on social media or on the go. Stylish & compact. The PIXMA TS6020 Wireless printer is the all-in-one that fits perfectly anywhere in the home, is simple to use, and delivers outstanding quality results every time. Call our US- Based Service and Support Center at 1-800-OK-CANON for expedited repairs and expert technical support.